Our global workforce is always evolving—so must you. That is why our curriculum teaches you the latest leadership and management skills you need in order to drive diverse, multicultural teams, departments and companies toward success in your organization. This course provides students with the essential knowledge about their leadership strengths and weaknesses so that they can lead and follow more effectively and ethically. It will launch the journey of leadership self-discovery to strengthen important leadership skills and discover students’ hidden potential for leadership. Equally, this course will develop a greater sensitivity to the ethical dimensions of leadership. Learning to recognize the importance of questions of purpose and to understand leadership as a form of service to others is an important insight and a balance to one’s personal ambitions. This course emphasizes the essential concepts associated with business practices and ethical values that prevail for the most effective and successful global leaders. Course objectives include recognizing your own ethical viewpoint and its implications for decision making; appreciating the value inherent in the ethical viewpoints and decision making of others; distinguishing differences in ethical foundations around the globe; identifying the pitfalls of human decision making and their effects in organizations; recognizing the fit between your values and those of an organization. This course expands on the multiple leadership models evaluated in the 1st semester and examines their applicability to varied global situations. It provides concepts, mental frameworks, and skills for socially responsible and ethical leadership of international teams. Topics covered include leading multicultural and virtual teams, creative problem solving and conflict resolution, appreciating and capitalizing on cultural diversity, moral considerations in power and politics, promoting multi-national visions, and creating socially responsible organizational cultures. This course focuses on the critical thinking, analysis, and practical skills essential to developing and implementing communications strategies that advance an organization’s strategic goals and mission in a highly competitive global business environment. Students will be introduced to various core strategic management concepts and models. The course further emphasizes elements of persuasive communication; how to design messages for culturally diverse and possibly resistant audiences, and how to present that information in a credible, convincing, and professional manner. This course examines the complex array of political, legal, historical and ethical concerns within the global business environment. Coverage includes non-market strategy; business ethics; diverse interests of various stakeholders; individual versus societal interests; public policy; globalization; and government regulation of, and support for, business. This course develops an understanding of the global environment in which international business takes place as well as the role and behavior of the international firm as it responds to the environment. The course provides the knowledge, skills and sensitivities that help manage business operations more proactively in the turbulent international environment. Through cases and discussions, within a social and ethical framework in the international marketplace, aspects of production, research, marketing and finance—along with their interrelationships—are studied. This course is designed to assist students in the practice of ethical leadership and management of change of international organizations. As a result of actively participating in this course, students will develop their leadership potential and their understanding of the challenges, techniques, and burdens associated with initiating and implementing major change in a global organization. The course will compare organizational development and planned change with other forms of international organizational change, and evaluate the steps associated with a planned organizational change process. This course examines the operational processes of the logistical chain from acquisition of materials through conversion to physical distribution of goods and services. Topics include supply systems, workflow systems, inventory systems, quality systems logistics systems, cost estimation, optimization tools, and continuous improvement. Common business processes and business skills practiced are production planning, workflow scheduling, cost estimation, resource allocation, work methods design, inventory management and continuous improvement methods. This course prepares participants to recognize the differences in cultural value systems and behaviors in the global environment, and how they affect leadership. Practical suggestions on how to succeed as a manager in foreign cultures and as a manager of foreign nationals will be examined. The course compares and contrasts the styles and effectiveness of leadership practices of contemporary and historical leaders. This course also provides an overview of the field of Human Resource Management by highlighting such topics as recruitment, selection, benefits, performance appraisal, compensation, labor relations and recent trends within the context of relevant international laws. This course introduces the student to the major topics in corporate finance. The student will learn some of the financial tools used by professionals, and also increase their understanding of the tasks and issues that are relevant to conducting business globally. The emphasis is on applied decision making relevant to the financial manager: investment decision (capital budgeting), financing decision (capital structure), project/asset valuation and using derivatives in managing global management risks. Specific topics include financial accounting principles that provide the foundation for the measurement and communication of financial data (basic statements, financial statement and ratio analysis, analysis of free cash flow), time value of money, valuation of financial instruments (stocks and bonds), capital budgeting, an introduction to capital markets, capital structure issues, dividend policy, global financial markets, and using derivatives to hedge global currency risks. This course examines – in a cross-cultural context – the key features of integrative (i.e., pie expanding) and distributive (i.e., pie slicing) negotiations, such as BATNAs, target points, anchoring, resistance points, and creating options. It also explores critically important methods of persuasion, how to use such methods effectively, and how to defend against them. This course also focuses on issues of leadership, ethics and trust and how these issues may be further complicated when negotiating in a cross-cultural context. This second course in negotiations builds upon the knowledge delivered in the first Negotiations course and focuses on difficult people and circumstances, problem solving and creativity, multi-party negotiations, and team negotiations – and how these issues may be further complicated when negotiating in a cross-cultural context. In an increasingly interdependent world, the ability to negotiate with people with diverse socio-cultural backgrounds and in different regions of the world is crucial for managers and leaders. This course will offer practical skills to navigate these complex negotiations scenarios. This course examines strategic planning, including the development of global analyses, the establishment of prioritization matrices, and the development of appropriate key performance indicators to fulfill strategic objectives. Students will practice strategic problem solving and decision-making from the perspective of global leaders, who are culturally consonant, ethical and innovative. Building on international mergers and acquisitions, the second part of the course is dedicated to strategic implementation tools, including, but not limited to integration tools, implementation matrices, synergistic analyses, and innovation tools. This course examines the key elements of marketing and the opportunities and the challenges of operating in a rapidly changing global marketplace. This course will cover topics such as the cultural environment in which marketers operate, market research, segmentation, positioning, promotion, and pricing. Further, this course will focus on practical decision making within a socially responsible and ethical framework. This course is the capstone of the global leadership degree. Each student will participate in a project that will model the leadership challenges and behaviors of a corporate manager involved in the global business arena. These projects may involve areas and challenges of finance, marketing, international business, or management. The project will serve to exercise ethical global leadership skills and distinct knowledge gained during the entire curriculum. Don't just study global business. Experience it. At USD, we have limitless opportunities to study global business. Here are just a few examples of programs from the Ahlers Center for International Business. 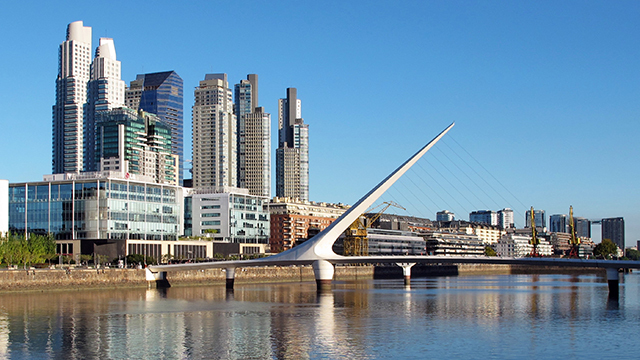 Buenos Aires, Argentina As a MSGL student, you have the opportunity to study abroad in Buenos Aires every January. The 9-day trip includes company visits, cultural outings and classroom time in which participants complete the majority of their business strategy course. 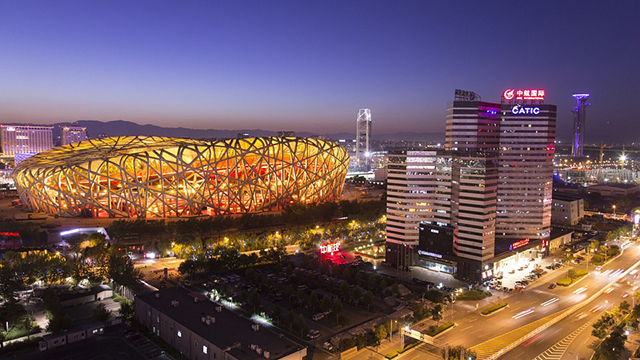 Beijing, China During fall semester, you can study abroad in Asia. This 10-day trip includes company visits, cultural outings and classroom time with local guest lectures. Our students even visit the Great Wall of China, the Forbidden City and the Summer Palace. 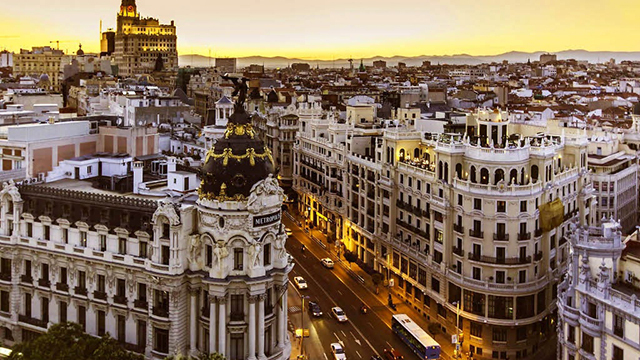 Madrid, Spain and Lisbon, Portugal This 2-week, multi-country trip exposes students to two different business cultures and includes company visits, cultural outings and local guest lectures in both locations.